Layer and proportionately distribute salad ingredients on the four plates. Chill the plates in the refrigerator until ready to serve. 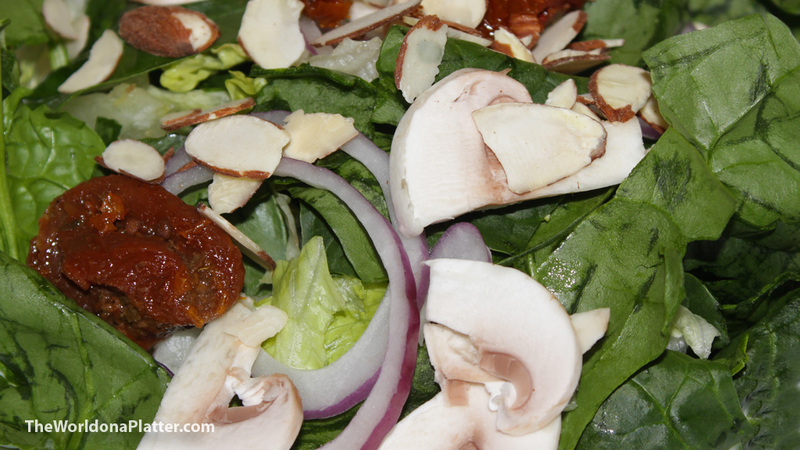 Make sure the vinaigrette ingredients are well blended then drizzle over salad and serve. I found a maple infused balsamic vinegar that worked well.